In 2017, we witnessed one of the most active hurricane seasons in the Caribbean. Most notably, Category 5 storms Irma and Maria passed through the region with winds gusting over 200 miles per hour, leaving a trail of destruction in their wake. Several of the islands in the region faced flattened buildings, toppled trees, ripped-off roofs, and devastation of agricultural lands. The people faced a loss of electricity, running water, telecommunications services, and Internet connectivity. In the case of the islands of Dominica and Barbuda, there was a total loss of all telecommunication and Internet connectivity. For the Internet Society, as a global organization focused on ensuring an open Internet is available to everyone, we are greatly concerned by the continued lack of Internet connectivity in some parts of the region. With seven Internet Society Chapters in the Caribbean, this connectivity outage directly impacts our members, their families and their communities. Many SIDS are prone to a variety of natural disasters, including cyclones, earthquakes, and tsunamis. Growing connectivity has helped mitigate the impact of disasters, particularly the wide availability of mobile phones, which mean text messages can be used to alert citizens about impending disasters so that they can both prepare and support relief efforts. At the same time, networks need to be resilient to withstand these disasters, which adds to the cost of deployment. We then went on to describe some technical opportunities to improve connectivity and explore business models to achieve sustainable connectivity. The need for that resilience was demonstrated just a few months later. It is now five months after the hurricanes of 2017 devastated the islands. It is unacceptable to us that some parts of the region are still without Internet connectivity. The international response to this natural disaster has been mixed at best, and while several entities reached out to the region, a number of challenges impeded smooth and rapid assistance, such as lack of coordination. In some cases, the response from authorities has been late, slow and insufficient. This should not happen again. We believe the reaction from governments should not be limited by political differences or formal barriers. People’s lives, pains and opportunities demand immediate action. All actors must work together to ensure that the response in future cases is timely and appropriate. In 2017, six category 3 to 5 hurricanes traversed the Caribbean. Ten Caribbean countries, including five OECS member states, were directly and profoundly impacted by the most dangerous of these hurricanes. By some estimates, relief and recovery efforts after Hurricanes Irma and Maria alone could cost upwards of US$150 billion. The frequency and intensity of the 2017 storms represent a terrifying escalation of catastrophe that contradicts the stereotype of paradise and peace that characterizes the region. That escalation is also profoundly challenging the historic constraints of economy, infrastructure and human capacity that define small states. The Caribbean’s challenge is not only climate-change fueled hurricanes but in the longer term, on other equally damaging implications such as sea-level rise, coral bleaching, drought, and other consequences of earth’s changing climate patterns. 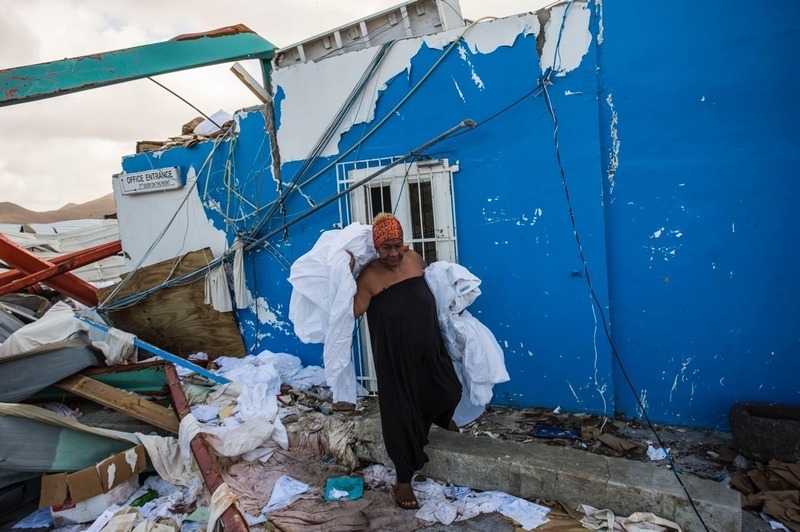 Every one of the 1,400 inhabitants of Barbuda had to be evacuated. 29 lives were lost in Dominica with a population of 70,000. More than 30 persons are still missing from Hurricane Maria. 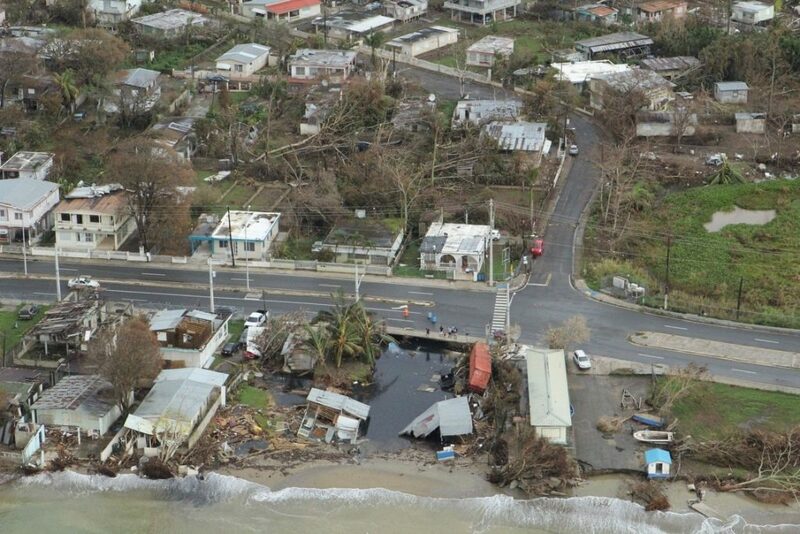 The countries Barbuda, Dominica and significant parts of Puerto Rico, BVI and Anguilla sustained severe disruptions in communications networks and communities were entirely disconnected from the Internet, severely hampering recovery and relief efforts. 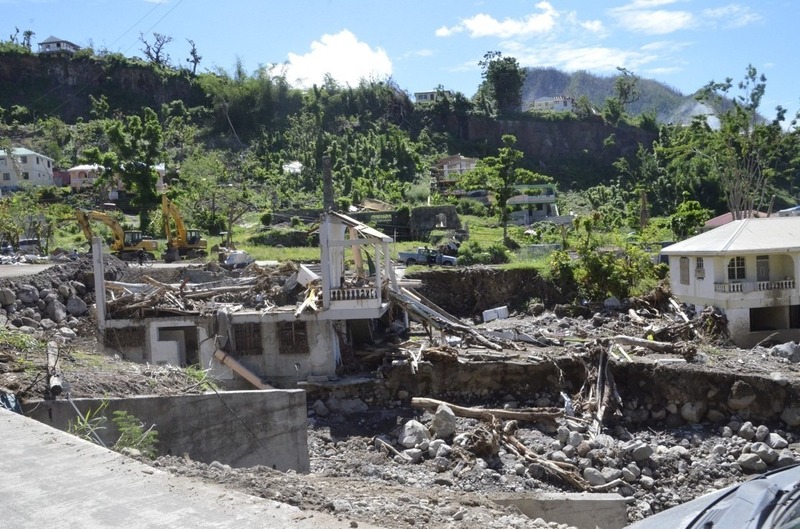 The estimated damage and losses in Dominica is 1.3 billion US dollars or 200% percent of GDP. The small size of markets and populations in the region make it vulnerable to exogenous shocks. However, small size also makes it possible to experiment with and implement solutions that impact entire national communities and provide models that can be shared on a global scale. This is precisely the opportunity before the Caribbean at the present time. The Caribbean Telecommunications Union (CTU) and the regional volunteer-based, non-profit Caribbean Network Operators Group (CaribNOG) have committed to placing special attention to strengthening Caribbean Network resilience. The failure of Caribbean communications networks was a particularly worrying consequence of the recent storms. Increasingly, severe weather events highlight an urgent need to strengthen the region’s communications infrastructure. CaribNOG is developing special software applications to address disaster preparedness and response. It is also designing technical workshops targeting network operators and computer engineers to help with the proliferation of autonomous networks and strengthening of critical Internet infrastructure in the Caribbean. The CTU has empaneled a special Commission for Caribbean Network Resilience to critically examine the region’s communications vulnerabilities and come up with recommendations for more resilient infrastructure, technologies and methods. Lewis is chair of the new body, and Kim Mallalieu, Senior Lecturer at the University of the West Indies, is the vice-chair. The commission has 12 commissioners and a number of volunteer consulting advisors drawn from regional and international experts on communications technology and regulation. Among the Internet bodies supporting the initiative are the American Registry for Internet Numbers (ARIN), the Internet Society (ISOC), the Latin American Internet Registry (LACNIC) and Packet Clearing House (PCH) and CaribNOG. The Commission will produce a report with specific recommendations to regional governments, regulators and communications ministries. The recommendations will be presented at a regional leader meeting convened by the CTU and the OECS. The scale of the devastation wrought by this season’s hurricanes is unprecedented in recent Caribbean communications history. However, the region is proving that it has both the will and support to strengthen its networks and to ensure that failure of critical internet infrastructure is not allowed to happen again. The Internet Society has seven chapters in the Caribbean region and multiple organizational members. We contacted members on three of the islands to learn their current status. The preferred way for a majority of individuals to access the internet right now is via WiFi. However, this is not available for the most part in the rural communities and the suburbs. Broadband connectivity is mainly available in the Roseau and sparsely in some regions. Most people don’t have electrical connections to their homes and may resort to a generator for power. To have your house reconnected to the electrical grid, your house would have to electrically certified and about 60% of the homes are without roofs. These roofs would have to be reinstated before connectivity is restored and a proper broadband service installed. The mobile telecommunications companies are offering mobile data services in some others. In others, point-to-point and point-to-multipoint WiFi solutions are being offered. Our primary need is assistance with creating community WiFi networks. We need project design and support. We need assistance with backhaul services from an ISP. We also need fundamental items such as access points, solar panels and batteries. About 70% of homes have running water restored. As of December 4th, about 32,000 homes remained without electrical power supply. The impact of hurricane Irma was very devastating for the country. Almost 95 percent of the city was destroyed. The impact of hurricane Maria was less impactful but still causing more water damage to a country that was already flooded. Internet connectivity is provided by fixed, CATV and mobile operators. The fixed and CATV access infrastructures were for 75 percent destroyed. This is due to the “above” the ground networks. Presently mobile telephony services have been restored for 90 percent. The PSTN on which we deliver ADSL services is for 85 percent operational. The internet services remain unstable as we need to replace all the DSLAMs. Several switches and routers were replaced. We ordered copper and fiber cables that still need to be sent to the island in order for us to restore fixed and CATV services optimally. On the mobile side, given that we lost several antennas, all this need to be replaced. In collaboration with the competitor operator UTS, we “patched” the network in order for us to deliver services in a provisory way. It will take several months to go back to the original situation. The water supply is restored and there are five special locations were people can get potable water. The electric power supply is restored and due to the big hotels still not being operational (it will take a few more months), there is an overcapacity which is at the advantage of the common households. On 20 September 2017, Hurricane Maria struck catastrophically to Perto Rico. The whole island suffered the fury of the weather phenomenon causing loss of life, food shortages, water and fuel. One of the most affected sectors were telecommunications. The lack of electricity and direct damage received left hundreds of antennas incommunicado to the general public. This means that no Internet access, cellular communication, cable TV, and radio stations were available. On November 20, 2017, as reported by the Federal Communications Commission (FCC) on the state of communications in affected areas, 33% of cell sites on the island were out of service. In 24 of the 78 municipalities, cell sites are 50% off duty. This sometimes led a lack of communication with the authorities handling the emergency. Instability in telecommunications caused huge losses in trade and the banking sector after electronic transactions were affected. www.status.pr site, 8% of cell sites on the island remain out of service. However, many of the cell sites are only powered by generators that require regular refuelling. The situation for broadband connectivity remains much worse. Significant numbers of people do not have connectivity through either cable services or wireline (DSL) connections, as those physical cables were destroyed and need to be replaced. In many cases the continued lack of electricity means there is no power for the cable or wireline connections. Puerto Rico has received a lot of support from different organizations and companies specializing in areas of information and communication technologies. One of the projects most was the release of balloons to provide connectivity to the island. Best known as Project Loon, Google created the company in collaboration with Alphabet’s X. The NetHope organization and companies like Facebook, Tesla, Microsoft, Cisco and ATT are offering support through their tactical response teams (TacOps) and “Cells on Light Trucks Satellite”, known as COLT. Cellular connection projects are also carried by drones (Flying Cow). The Government of Puerto Rico’s efforts to restore telecommunications have been led by the Telecommunications Regulatory Board and the Office of the Chief Information. The Internet Society and ISOC Mexico Chapter supported us through their social networks with guidance on the proper use of bandwidth so that everyone can communicate with their loved ones to a natural disaster. All information on the recovery of Puerto Rico can be accessed through the portal www.status.pr. Multiple organizations are working to address the challenges of the loss of Internet connectivity across the region. These include the Caribbean Association of National Telecommunication Organizations (CANTO), Public Internet Registry (PIR), Capacity Media, the Internet Society’s Latin American and Caribbean Regional Bureau, and the CTU Commission mentioned in Bevil Wooding’s section earlier in this report. However, concrete impacts and results are still very limited. electricity distribution needs to be redesigned. This last point about electricity is critical. Without electricity, there is no Internet. In some parts of the Caribbean, Internet connectivity has been restored, but it is only due to large numbers of generators being deployed to power the cellular towers. While this can work in the short term while the power grid is being restored, it is not a long-term sustainable solution. The Internet Society believes that the economic, social, education and communication opportunities made possible by the Internet are critical to our society today. We believe that Internet outages, either by natural disasters or government shutdowns, harm the people in the region and connectivity must be restored as soon as possible. Beyond that, Internet infrastructure must be made as resilient as possible to stand up as much as possible to these kinds of events. While we have already been communicating with our Internet Society Chapters and members in the Caribbean region, our next steps include the following. produce a report with specific recommendations that Caribbean communications ministries, regulators and governments can follow. We will be represented by Shernon Osepa and we look forward to working with the other regional, government, NGO and commercial members of the Commission. We have a Memorandum of Understanding (MoU) with the Caribbean Association of National Telecommunications Operators (CANTO). CANTO has a Natural Disaster Committee in which “Natural Disasters’ Preparedness” is a key topic. CANTO’s upcoming Annual General Meeting on 4-6 February 2018 in Trinidad & Tobago has several sessions on Post Natural Disaster Management. Shernon Osepa will be attending on our behalf. We are currently developing plans for a program where Internet Society Chapters affected by a natural disaster could apply for funding through our Beyond The Net program. This new program will be for projects aimed at restoring Internet connectivity and/or building more resilient infrastructure. More details will be provided during Q1 2018. As we partner with these organizations and develop new funding programs, we will work to engage our Chapters, Organization Members and individual members, both within the region and globally. We will also work to involve other organizations and partners from the larger Internet community. We look forward to working with our members and partners to bring about a reconnected and more resilient Caribbean region. Contributors to this report include Sally Wentworth, Raul Echeberria, Sebastian Bellagamba, Jane Coffin, Joyce Dogniez, Christine Saegesser Baethge, Shernon Osepa. This report aims to shed light on the key connectivity issues for SIDS nations and to help share knowledge on potential strategies to address them for national and regional policy makers, as well as decision-makers in international development assistance agencies. The research for this report was based on a global desk review of all the SIDS countries and indepth case studies of two SIDS per each region: Haiti and Saint Vincent and the Grenadines in the Caribbean, Cape Verde and Comoros in Africa, and Tonga and Vanuatu in the Pacific.